Total Gym® Teams Up With Top Personal Trainer Todd Durkin to Develop New Series of DVD Workout Programs. The Total Gym®, a recognized leader in personal home fitness, announced today that they are teaming up with internationally recognized performance-enhancement coach, owner of Fitness Quest 10, author and personal trainer to dozens of professional athletes Todd Durkin, MA, CSCS to develop a new series of DVD workout programs. Included in the line-up are a Beginner program designed to help users “work-in” to a fitness routine by building energy, endurance and achieving results, an Intermediate program to up their game by challenging strength and increasing intensity with a focus on building muscle and burning fat and an Advanced program created to deliver an amazing ripped body in as little as 45 days. “I’ve used the Total Gym in my training for years, so when the makers of Total Gym asked me to develop a new workout series for them, I thought it was a great way to integrate some of the same workouts I use to train pro athletes in my gym to the the home user.” said Durkin. “We are thrilled to work with Todd to develop this original new workout content. Todd’s energy and charisma are naturally motivating. He brings a fresh, modern approach to our program library.” Said Jim McFadden, President and CEO of Total Gym Fitness, LLC. Production of the new workout programs is scheduled for September 2011 with an expected release date of January 2012. Twice named Personal Trainer of the Year, Todd Durkin trains dozens of NFL and MLB athletes including Super Bowl XLIV MVP Drew Brees, Super Bowl XLV Aaron Rodgers, and former NFL MVP LaDainian Tomlinson. 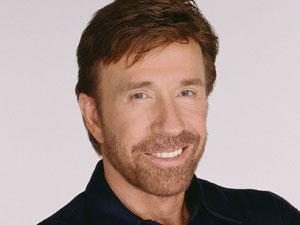 Additionally, he has trained one Olympic Gold Medalist, an MLB Champion & MVP, two X-Games Gold medalists, 2 Heisman trophy winners, and tens of thousands of other elite and amateur athletes as well as fitness enthusiasts. Todd has appeared on 60 Minutes, ESPN, the NFL Network and has been featured in Sports Illustrated, USA Today, STACK Magazine, Business Week, Prevention, ESPN the Magazine, Men’s Health, and countless other media outlets. Previous PostChristie Brinkley Is ‘Energized’ About 2009. Next PostTotal Gym® – The Celebrity Workout You Can Do At Home. 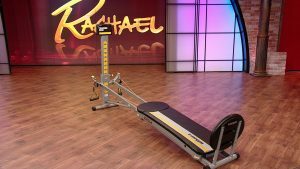 Check out Total Gym on the Rachael Ray Show! Not sure what DVD you’re referring to… could you be a little more specific?